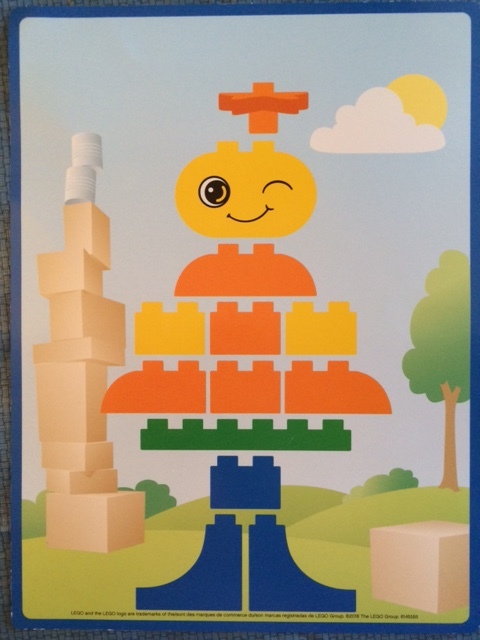 Preschool Legos- More than Building! 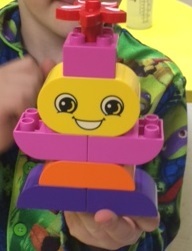 Preschool Legos - More Than Building! And THESE were a HUGE hit with our preschoolers! Disclosure: I received free products in exchange for an honest review. All opinions on this page are mine! This post contains affiliate links. 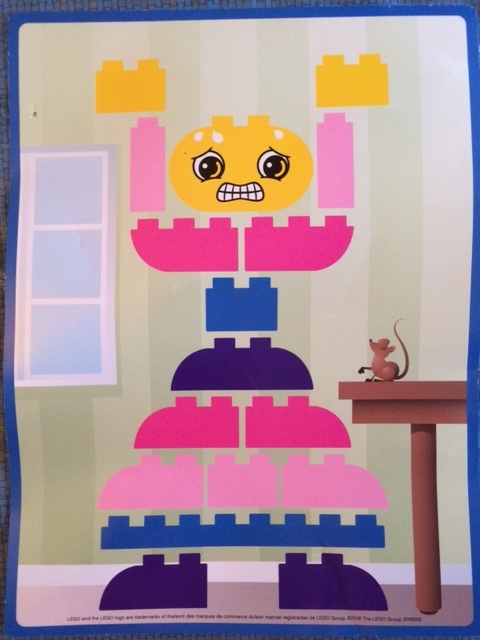 Legos In Preschool- You GOTTA Have 'Em! 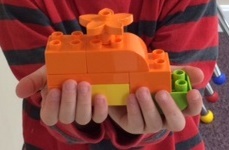 Preschool Legos --most classrooms have them. 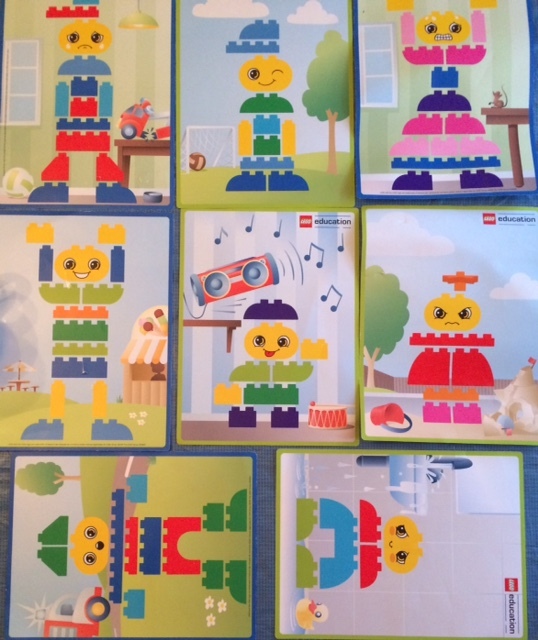 They are fun for building in the Block Center. They are NOT fun to step on (just sayin'!). However, they are SO MUCH MORE than a tool to build with! 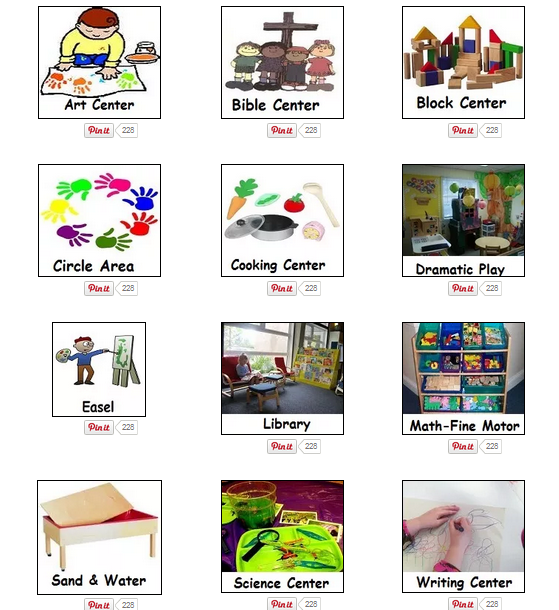 Were were talking with our preschoolers about some of their favorite things to do when we are together. We also asked what types of activities they'd like to do, or do more of, for the rest of the school year. 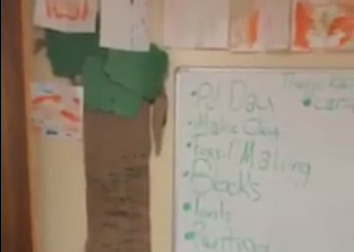 They had some great ideas (list to the right). List of things we like to do. Blocks are an amazing material that I think ALL children should have access to every day! 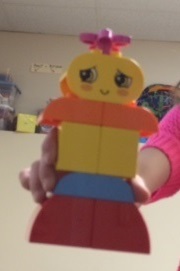 Preschool children grow and develop in so many ways by using blocks. Here are just a few! 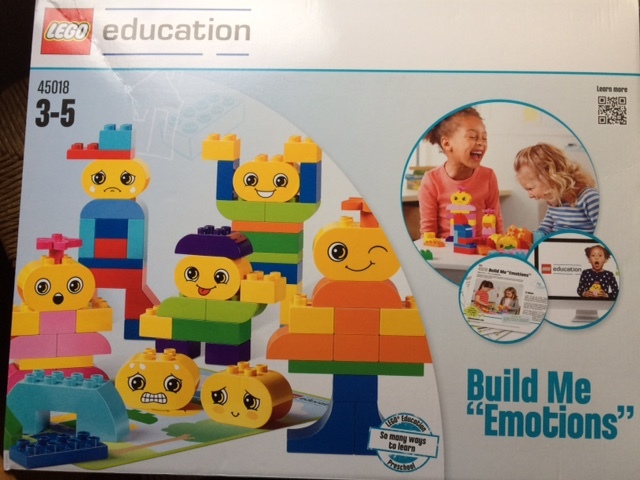 Develop language skills as they play, build and learn together. 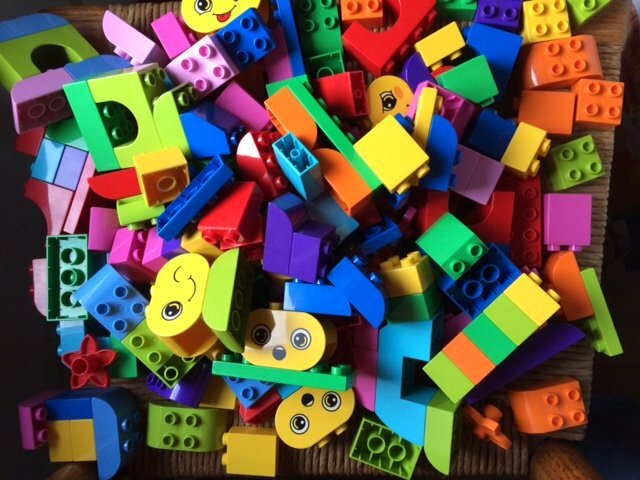 For more information on block play and incorporating it into the classroom, you can read my Block Interest Center article here. Our preschoolers just LOVE blocks. They especially love Legos and specifically asked if we could get, and I quote"
"Every, every kind of every Lego." Well, imagine how EXCITED they were when I told them that the Lego company sent me a box of new Legos! 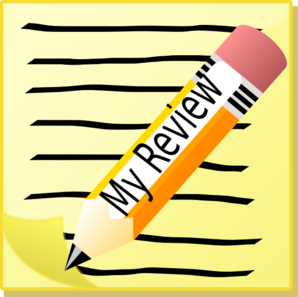 AND that the asked if I would write a review about the product and let them know what I thought?! "Miss Cheryl, WE should review because, you know, you're older and, you know, we are not older. So, yeah. Let the kids review." Well, we took out the other blocks we had and built together. During this time, they decided I was "qualified" to play with, and therefore, review toys. So, I brought the Legos into the classroom the following day. They screached a little and then dumped them all out! I just sat and watched the fun happen! 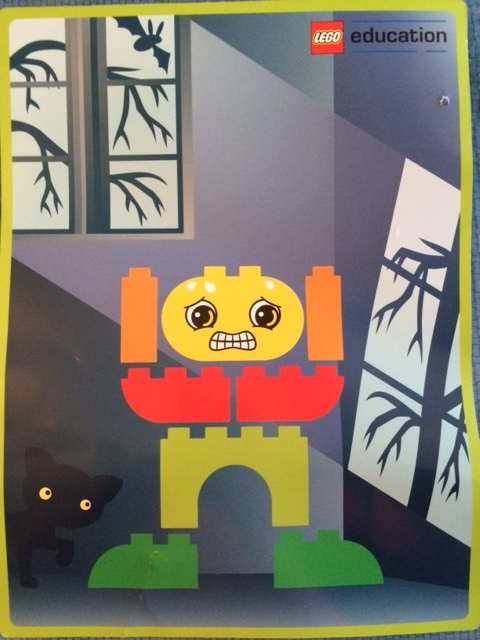 I did not introduce the faces on the legos or the emotions they displayed. I did not introduce the building cards that were in the box or what to do with them. I think too many times we feel we need to "explain" everything to children and do not let them explore, discuss, question, investigate and just use materials! "Look! I have a sad dude!" "She is sad because it's raining. Her hat is too small. Cuz it's a snow hat. She wants it to snow today. She likes to play in snow with her dog." "This can fly. It can take me where I want right now." Me: "Where do you want to go right now." "Potty. Then to see my Mom." "This is from the paper. Can we save it? Can we take a picture in case it gets broken so I can make it again?" Yes! Yes we can to both! We have this saved in the box and also have printed out this picture so he can build it again. 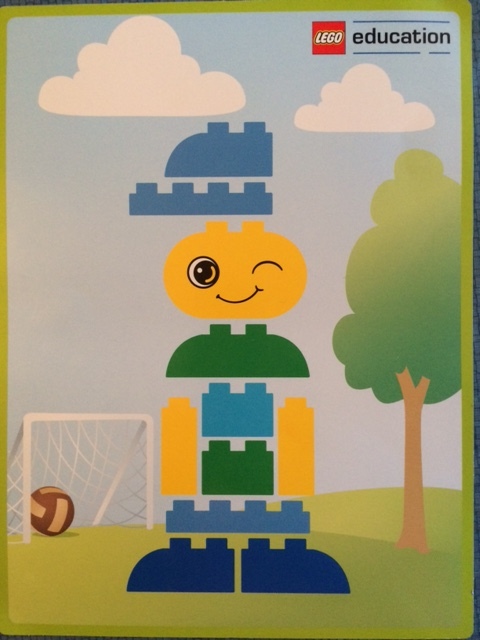 Even though-he did build it based on the building card, it was important to him to document this accomplishment! "Miss Cheryl, why are some pictures blue and some green?" "Hmmm.....why indeed?! I'm don't know why. Good observation. I didn't notice that! Let's read the paper that came with the Legos and find out!" "Teacher Tip: The green border on the building cards indicates a less-challenging model, and the blue border indicates a more-challenging model." A resounding, "What does that mean?" later, and before I could respond, one of the children said "It means the green ones are not as hard. The blue ones are more hard to do." We did observe these developmental areas discussed throughout the morning. 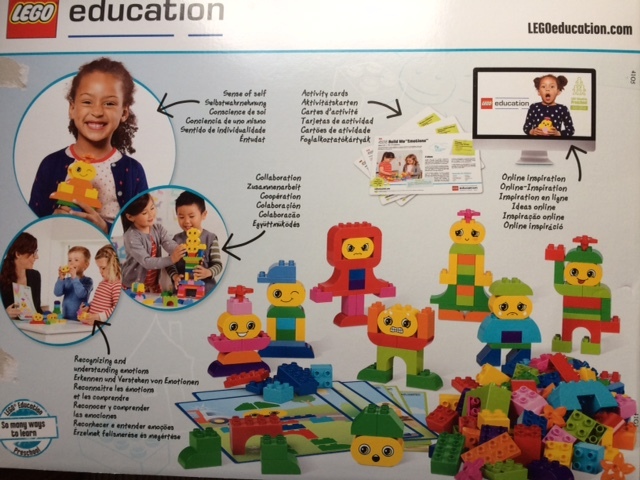 In addition to their stated values and goals for the product, we observed so much more learning happening (as we all will when children are engaged in any type of play). 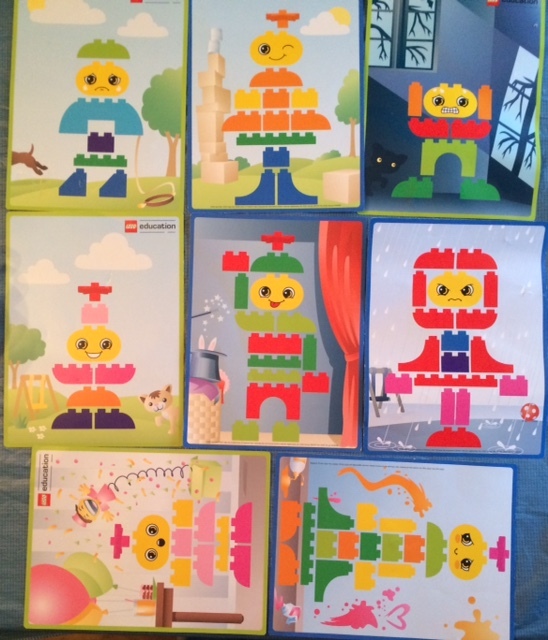 We observed preschool math process skill development (more challenging/less challenging in the discussion above; in counting how many pieces they needed and how many building cards there were, sorting the Legos by size, shape, number of "bumps" and other attributes, etc.). 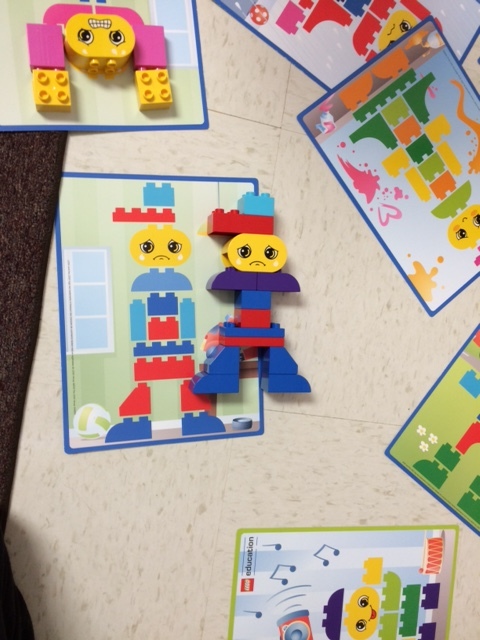 We observed language development as they discussed what challenging meant, as they described the faces of the items they were building, and as they told stories about their creations. Large motor as they used them (as flying cars or people walking in the rain) as well as by tossing them from a distance back into the box at the end of the morning. We observed eye-hand coordination being practiced. We observed color recognition being practiced and perfected! Summary: Play Is The Way! No amount of worksheets will ever succeed providing the type of learning and understanding that happens through hands-on play. So-What Did We Think Of Them? Well, they are Legos. We LOVE Legos already. And this new set did not disappoint! They are the perfect addition to our selection of blocks! For these or other Legos, CLICK HERE to check out Amazon's collection. . They are the lowest prices I've found!